Nintendo has announced that a small update is coming to their mobile battle title Fire Emblem Heroes today. The mini-content drop, which should be live as you read this, brings a new Mythic Hero to the game's expansive roster of warriors. The new character is Duma, God of Strength, who is the final boss of 1992 NES release Fire Emblem Gaiden. This title was later remade, and very likely more recognised, as Nintendo 3DS release Fire Emblem Echoes: Shadows of Valentia. 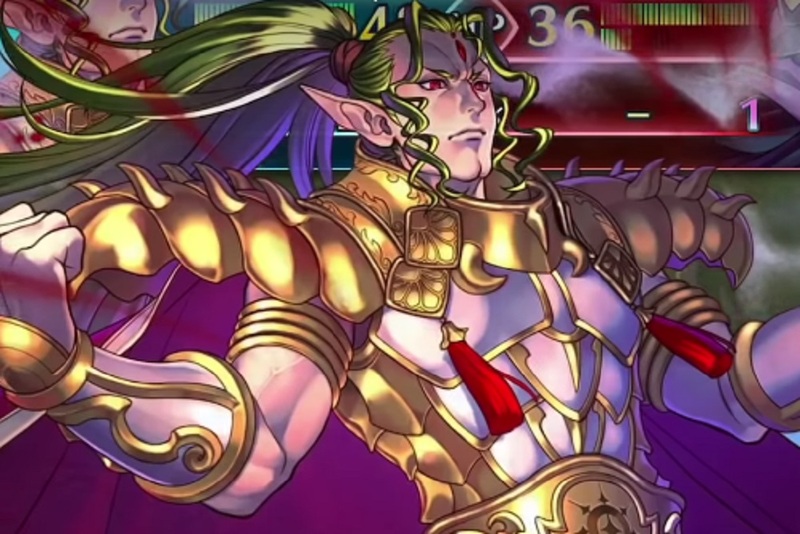 Essentially a supreme being, Duma's descent into madness made him an unpredictable and dangerous threat to the Fire Emblem universe. Duma is live in-game today. Fire Emblem Heroes is available on iOS and Android devices.